Two important things happened to John Coltrane in 1957: The saxophonist left Miles Davis' employ to join Thelonious Monk's band and hit new heights in extended, ecstatic soloing. Coltrane also kicked heroin addiction, a vital step in a spiritual awakening that climaxed with this legendary album-long hymn of praise – transcendent music perfect for the high point of the civil rights movement. The indelible four-note theme of the first piece, "Acknowledgment," is the humble foundation of the suite. 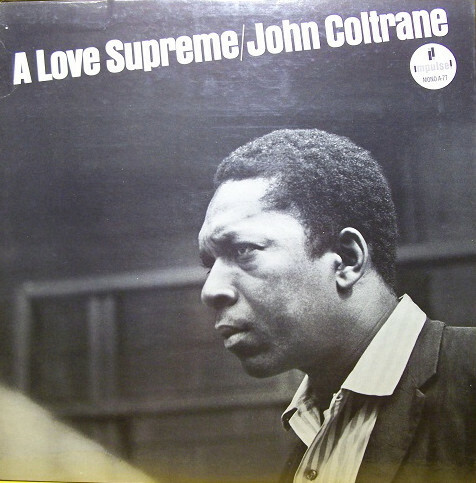 But Coltrane's majestic, often violent blowing (famously described as "sheets of sound") is never self-aggrandizing. His playing soars with nothing but gratitude and joy. You can't help but go with him.